Situated along tree-lined streets in a sprawling residential neighborhood, Springs at Weber Road is equipped for your modern lifestyle. We’re ideally located near grocery stores, restaurants, and everyday amenities on South Weber Road. Pick up your weekly groceries at the Sam’s Club or Walmart around the corner. When you need more specialty items, drive to Fresh Thyme Farmer’s Market for exceptional meat and produce. Plus, you can set an early tee time and start your day on Naperbrook Golf Course's beautiful grounds. Afterward, if you want to satisfy your sweet tooth, you can walk to Dairy Queen on South Weber for an ice cream cone. Our luxury apartments for rent in Southwest Chicago boast easy access to the things that matter most to you. Hop on I-55 for quick access to anything in the Chicagoland area. Springs at Weber Road offers short drives for students and commuters alike to Lewis University, Rasmussen College, CITGO, and Peacock Engineering. Start your new life at Springs at Weber Road today. 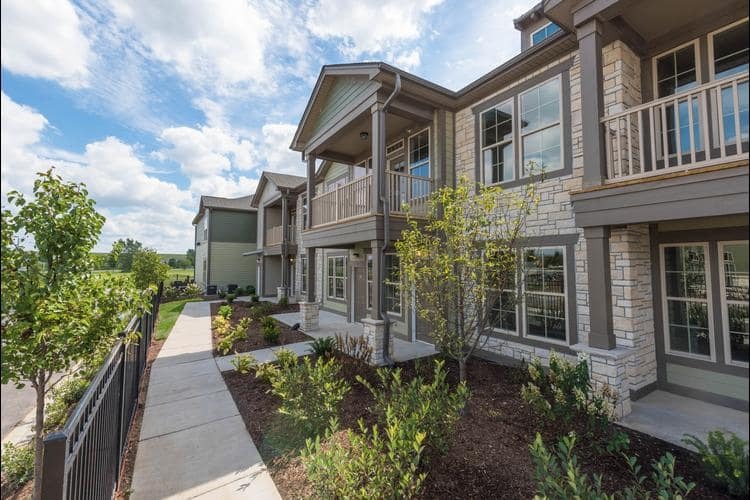 Contact our management team to schedule your tour of our luxury Romeoville apartments for rent. We are proud to be a member of the Romeoville community and an active participant of their Crime Free Housing initiative.